So this week with the money that isn’t wasted on wars and war toys a possibly habitable planet was discovered. 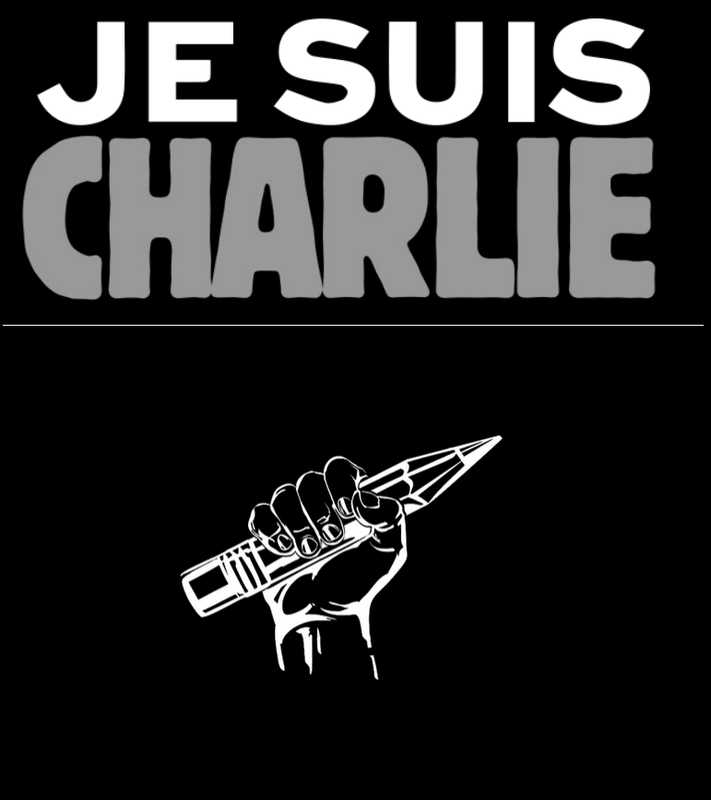 Humanity has a ‘Carl Sagan’ moment get wide eyed in wonder and then puts it head back to the grind. 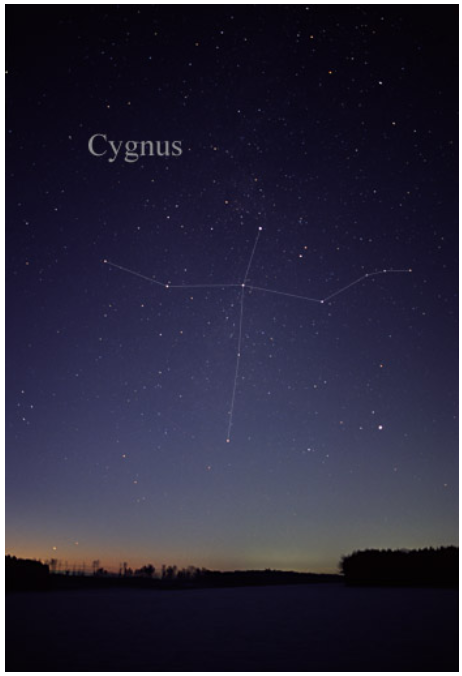 So in the constellation of Cygnus is a Red Dwarf star (M dwarf) called kepler 186 and its 5th planet rotates around this star about 1/3 of the distance we rotate around our sun. But that is about as accurate as saying somewhere in Australia I dropped a bottle top with my phone number written on it. Any way this planet is believed to be in the ‘Goldilocks zone’, not to cold, not too hot, and is thought to have the right temperature for liquid water and therefore life. The panet has been in that position for a few billion years so life would have had time to evolve, if thats how life really comes about. This is all really great, a real testament to science to find such a thing. materials? A place for collecting trophies and trinkets for exorbitant resale on earth. What if there were sentient creatures there? Would we simply shove them aside like previous conquest of new worlds? We have discovered new worlds before and look how it ended for those who were on the new world when it was ‘discovered’. North America was ‘new world’, Central America was a ‘new world’, South America was a ‘new world’, Australia was a ‘new world’ (though not specifically called that). Imagine a ten ton mining truck squashing a small animal unknown to science, and then realize it can happen here too, the fact it happens somewhere else makes it no more less of a tragedy. So while we might find a ‘new world’ we are hardly ready to go there without being remarkable destructive, so perhaps Kepler 186f is safe for now from a world not quite ready to deal with its own problems. 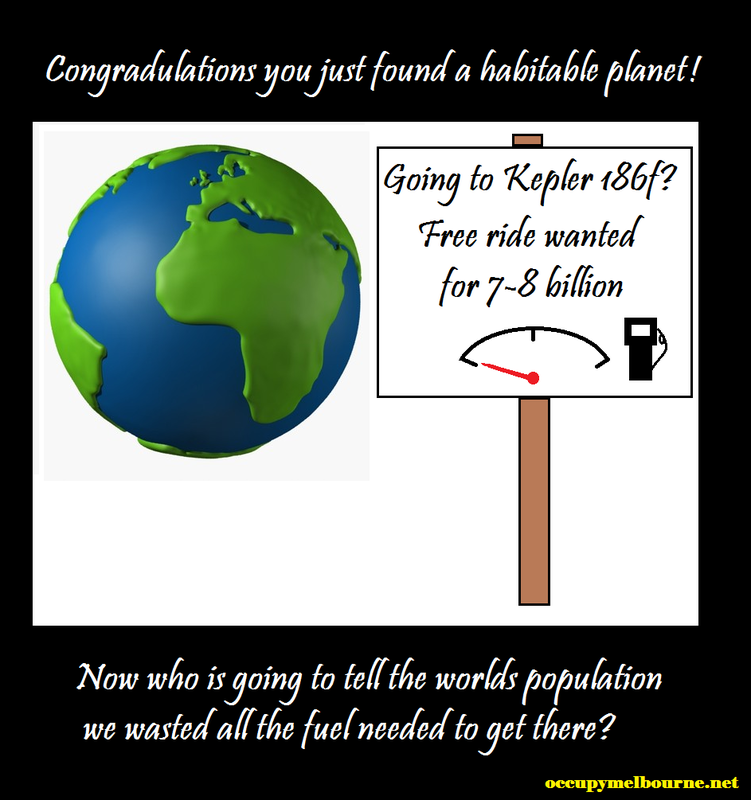 Imagine the irony, we discover habitable planet(s) only after peak oil, and therefore have no way to get there because we literally ‘ran out of gas’. Posted on April 24, 2014, in Australia, Consiousness, Energy, Food Security, Land, Peak Oil, Physical resources, Politics, Transport, USA, Water and tagged astronomy, colonialism, ecology, energy, environment, Kepler 186f, new world, science. Bookmark the permalink. Leave a comment.